The aspiration for issuing Nigeria’s first sovereign sukuk received a huge boost yesterday as the Securities and Exchange Commission (SEC) and the Debt Management Office (DMO) committed to strengthen collaboration towards realizing that goal. 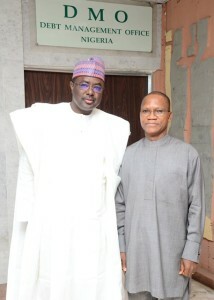 This was the major outcome of the visit to the DMO by the SEC Director General, Mr. Mounir Gwarzo. It would be recalled that in November last year, the DMO Director General, Dr. Abraham Nwankwo, paid a courtesy call on Mr. Mounir Gwarzo during which the two chief executives agreed to reinforce partnership to deepen the domestic bond market. The latest visit, the second meeting in less than three months, is a clear sign of a closer working relationship the two government agencies now enjoy. While welcoming the SEC delegation, Dr. Nwankwo highlighted the importance DMO attaches to the non-interest products space and revealed that a sovereign sukuk issuance has been part of the institution’s strategic plan drawn three years ago. 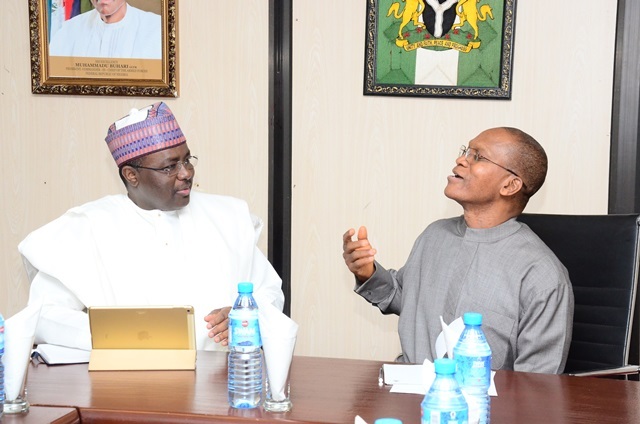 He solicited support from the SEC, especially in the area of capacity building in order to realize the goal of issuing Nigeria’s first sovereign sukuk within the year 2016. 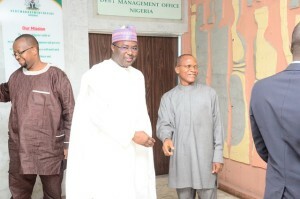 In response, Mr. Gwarzo assured the DMO of continued support, pledging to take measures that help enhance the capacity of relevant staff of the DMO including establishing regular interfaces between the DMO and key staff of SEC who are very knowledgeable in the area of non-interest finance. The SEC will equally enable nominated staff of DMO to participate at the Capital Market Committee sub-committee on non-interest products to further deepen their capacity. Mr. Gwarzo gave an overview of the leading role the SEC has played in the past to catalyze development of the non-interest capital market in Nigeria. In addition to robust enlightenment programmes, the SEC has notably led the capital market community to develop a blueprint for the growth of non-interest capital market in the country which forms part of the 10-year capital market master plan currently being implemented by SEC. Within the context of continued decline in the prices of crude oil in the international markets, attendant drop in both foreign exchange and government revenues as well as fragility of growth from major emerging markets like China, the need for alternative sources of capital to finance infrastructure becomes increasingly more compelling. Both government agencies therefore agreed on the urgent need to begin mobilizing capital in order to address the Nation’s investment needs. 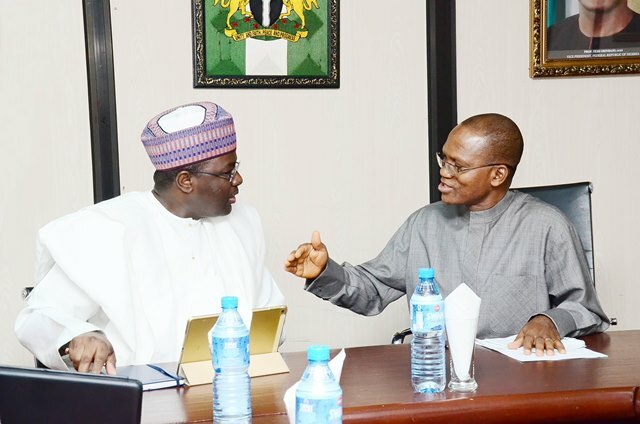 Particularly, issuing a sovereign sukuk will attract significant amounts of affordable capital from the Gulf countries and other established Islamic markets around the world into Nigeria. According to the SEC Director General, issuing a sovereign sukuk will send a much needed positive message to the market amidst the negative investor sentiment that persists currently. 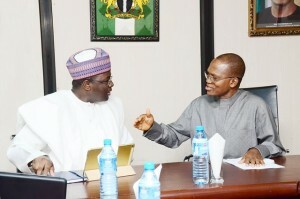 He expressed confidence that Nigeria’s maiden sovereign sukuk will be oversubscribed as both domestic and foreign investors have appetite for exposure to Nigeria. 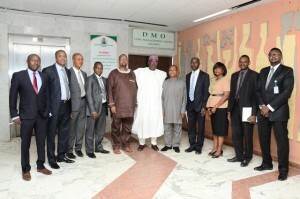 He therefore urged the DMO to take advantage of this unique opportunity to make a mark on the sukuk market in spite of the challenging times. When the SEC released rules on sukuk issuance in 2013, the State Government of Osun took advantage of the robust regulatory framework to issue Nigeria’s first sukuk in which it raised N11.4 billion. 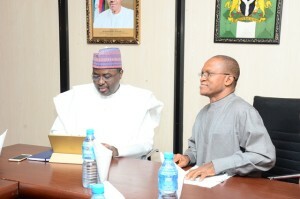 While engagements are ongoing to enlighten other state governments to raise funds needed for development by issuing sukuk, an issuance of a sovereign sukuk by the Federal government will help to provide a benchmark for such issuances and spur further interest from other categories of issuers.